After she signed up to the Parent Child Home Programme, María Hernández Cannon had a wowza moment. She realised she needed to change how she read to her son. “I was like, ‘Hang on a minute, I’ve been doing everything wrong,”‘ she said. She started to talk to him differently, and to give him the space to work through challenges himself. That was about six years ago and her son is now 8 years old. He’s somewhere around, says Hernández Cannon, as she glances around the busy ground-floor room at the National College Ireland. It’s a Wednesday evening, and the auditorium is crowded with others who have been through, work on, or supported the Parent Child Home Programme during the last 10 years. Children play with balloons and stuff their faces with chicken nuggets off paper plates. 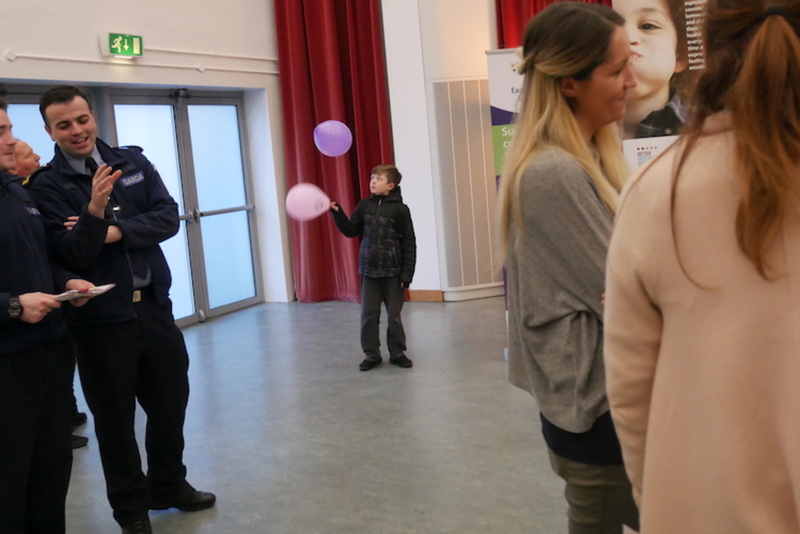 Men and women from local Docklands businesses – who are major funders of the programme, along with the Department of Children – mingle with those who run the scheme. Now years on from her home visits, Hernández Cannon still attributes some of her son’s language skills to the extra support in his early years. 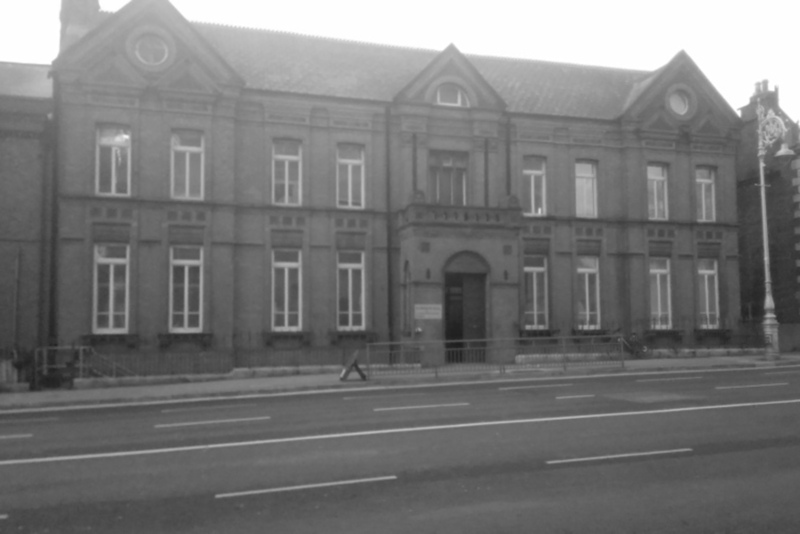 In the mid-2000s, the National College of Ireland reached out to people in that part of the city – in Ringsend, East Wall, North Wall, and City Quay – and asked what they felt they needed. 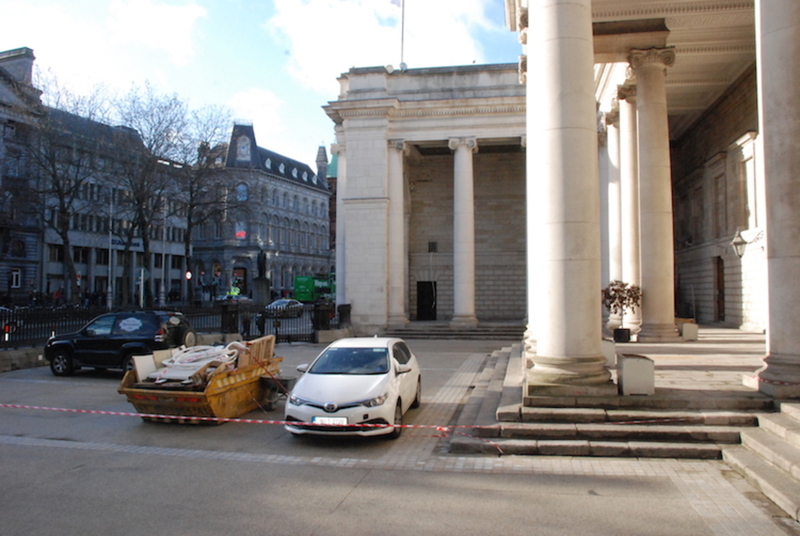 “Parents would have said, ‘I love my child, I want them to do well, but actually I’m having difficulties with the education system as it is,'” the director of the NCI’s Early Learning Initiative, Josephine Bleach, told Dublin city councillors at a meeting of their Central Area Committee recently. Bleach and her colleagues looked around for how to respond to that, and honed in on an influential study published in the 1990s by US researchers Betty Hart and Todd R. Risley. It found that by the time kids in the United States were 3 years old, those from families on welfare had heard 30 million fewer words than their peers from professional families. As a result, they had picked up far smaller vocabularies. They also heard different kinds of words; the children from wealthier families heard a greater number of encouraging words, and fewer prohibitions. These differences, they found, predicated later performance in school, too. So, to translate into an Irish context, while a 3-year-old children from professional families in, say, Foxrock or Clontarf might babble with 1,500 different words, those from lower-income areas and backgrounds might know far fewer. “Unless parents get support, these children never catch up,” Bleach said. 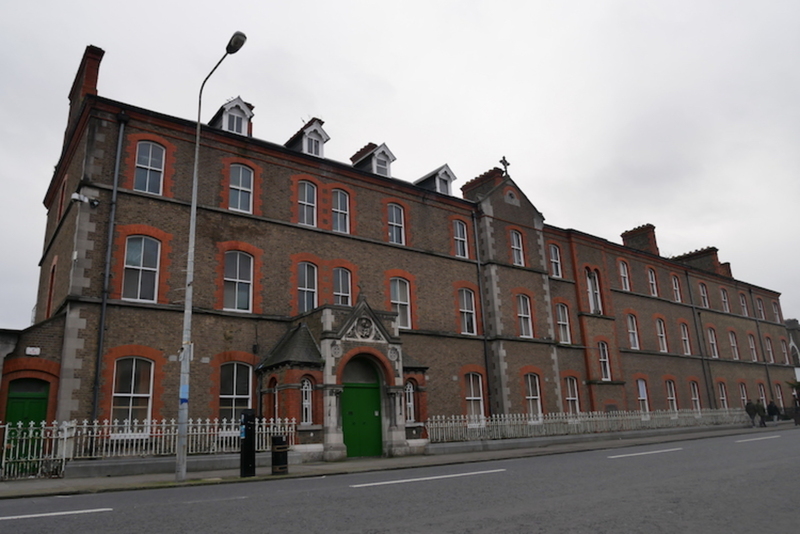 That’s why, in 2007, they launched the Parent Child Home Programme in the Docklands. Jen O’Neill said that she had noticed something akin to a word gap during a placement at an inner-city school as part of her diploma. Some children seemed so much more ready for school than others, said O’Neill, who is now a programme coordinator with the NCI scheme. Some were confident and sociable and able to sit down and concentrate. Others seemed to struggle to keep up, which made it tough – especially for the teacher, trying to juggle the range of abilities in a class of 30. So, when O’Neill heard about the NCI, she signed up to become a home visitor. It’s the home visitors, all women drawn from the community, who work directly with parents and children. During 92 visits over the course of a year and a half, they bring books and toys and show how best to play and talk to a child, in a way that will create a rich language environment. “She’s modelling best practice,” says Michelle Moore, a senior specialist with the programme. They are selective in the materials that they use. Disney stories and those drawn from television series are out. They don’t want parents to come under pressure to buy the spin-off merchandise. Traditional books, like Where’s Spot? and The Hungry Caterpillar, are in. The co-ordinators choose toys that allow children can play with in their own way. “We don’t want to impede in the child’s imagination,” Moore said. In return, parents promise to read to their children in their own time. “There is a commitment,” she says. She uses open-ended questions and builds up vocabulary by adding to sentences. “It doesn’t matter what age the child is, you’re still going to give them those words,” she says. Oonagh Miller, a parent on the programme, said that she and her partner have learnt to stack as many descriptive words as possible, when talking to their daughter Maya-Rose. Rather than saying, “Look at the dog!”, they would say, “Look at the black and white dog!”, and then, “Look at the big, black and white dog!” she says. It also gave structure to her daughter’s week and she has learnt to let Maya-Rose lead. “Not that it has to be a certain way. That it’s okay to mix the play-doh colours,” she says, with a laugh. O’Neill was at a visit recently, where she started talking to a young boy’s little sister, who was 18 months old. The boy asked why she was doing that. “It doesn’t matter that she’s not talking back, we can still talk to her,” she said him. “It’s the same idea we’re trying to put across to parents: you can start young,” O’Neill said. Even if all you get back is a gurgle. The programme has evolved since its earliest days. When it started, those behind it made it open to all. “We were new. We didn’t want people to think it wasn’t for anybody,” says Moore. They went into crèches and preschools and schools to recommend that people sign up. “We really built up support with families in the area,” she says. Over the years, though, it has become more targeted. Coordinators interview interview the parents and assess whether the children might have delays in speech or language. They also look at parents’ academic backgrounds to see whether they left school early. “If the child needs it, the child gets it,” says Moore. For some parents, it can seem daunting to invite strangers into their homes. But “they’re so well trained, it’s not intrusive”, says Miller. Part of the success of the programme is because it is run by women from the community, says Moore. 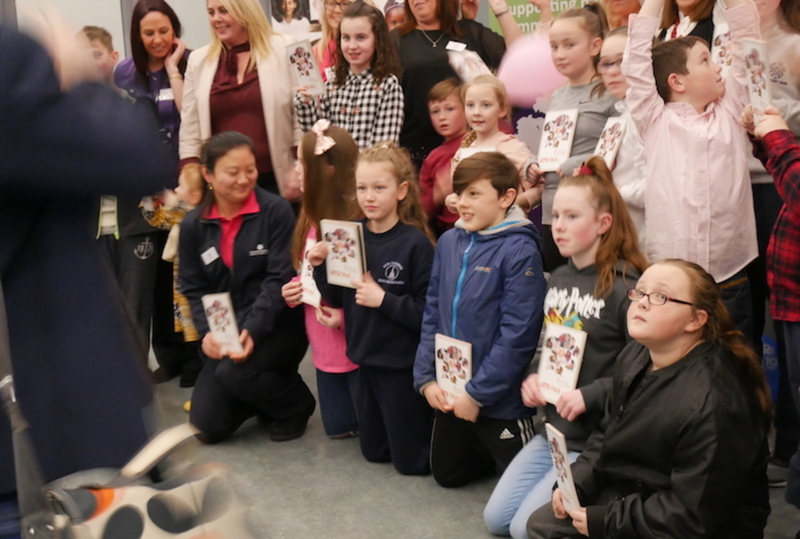 About 800 children have been through the Parent Child Home Programme since it was set up, Bleach told councillors at their recent committee meeting. National College of Ireland’s research has found that 29 percent of children are performing normally when they come into the programme at around 18 months of age, she said. Later on, at the second stage of testing, 48 percent of children are performing normally. When they start the second year, it’s 60 percent, and when they leave the programme, it’s 70 percent. Researchers went back to the first 45 children who went through the programme, and asked parents how they were doing in maths and English at school. “According to them, 93 percent of parents said their children were doing well in maths and English,” she said. “Our next stage is to look for more standardised tests, to keep looking out for them as they go through Junior Cert and Leaving Cert and into third-level,” said Bleach. Staff at National College of Ireland are working at the moment to collect even more data on the impact of the programme here. With the help of an engineer and his “Fitbit for words”. Oisín Hurley came across the idea of a word gap in a newspaper article, and – despite being childless and having a background in financial services – grew fixated on ways to solve the problem. He read up on it, and on the movement in the United States to invest in early-years education. Then he started to ask around closer to home. “I thought what’s going on here? What do we do in that area? So I did what most people would do, I started talking to mums,” he said. He felt, weirdly, that he knew more about the word gap than parents did. Inspired by the success of the Fitbit, which people wear to track their health, he made a prototype of an app, Talk2MeMore. He tested it on a small group of friends and family. After that, he met with the team at National College of Ireland. Together, they have designed a pilot study using the app. NCI and Hurley signed up their first parents in November, and are still looking for others with kids between 0 and 3 to take part, aiming for a sample of 80 families across different demographics, he said. Researchers at the National College of Ireland will analyse the results, including what it says about the impact of their programme. “Our learning will probably feed into what will happen next really, what the feedback is, particular from the PCHP [Parent Child Home Programme] parents,” says Hurley. “Personally, I’m really excited by whatever the outcome is. I think something like this is quite novel and I think we’re going to learn heaps just by asking the questions,” he says. Organisations such as Early Childhood Ireland have lobbied the state to increase that figure and bring it up to 1 percent of GDP, as is recommended by UNICEF. 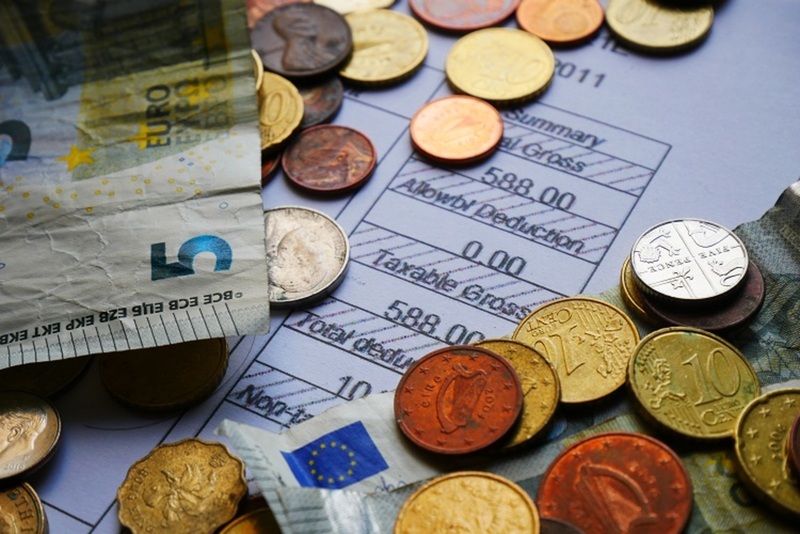 According to the Department of Youth and Child Affairs, it spend more than €270 million on early childhood education in 2017, and its budget is more than €320 million for this year. 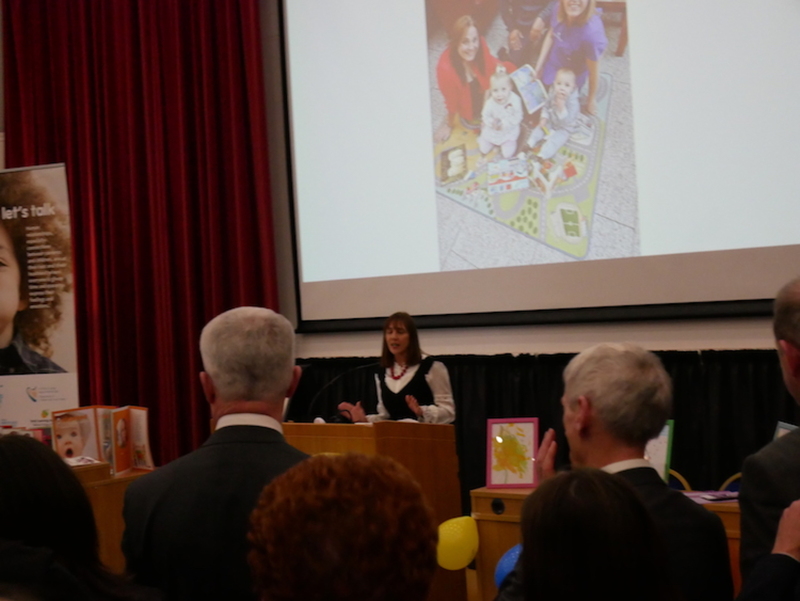 The Early Learning Initiative’s programmes, “along with other innovative projects, need to be made available in every community which would benefit from it”, said Grace Duffy, communications coordinator with Early Childhood Ireland. Since it launched 10 years ago, the Parent Child Home Programme has spread beyond the Docklands, with projects across postcodes, from Dublin 1 to Dublin 4, and also in Dublin 7 and Dublin 8. There are also pilot sites in Galway and Limerick, says Moore. As time has passed, the programme has also encountered new challenges, though. Some of the families they work with are homeless and living in emergency accommodation and hotels. Programme Coordinator Jen O’Neill says that sometimes visitors might go into emergency accommodation to work with a child who is, maybe, 15 months or 18 months old, and they’re just starting to move around. “The floor space could be tiny,” she said. The toddler groups that the Early Learning Initiative staff run run help with that as they provide space for parents and children to play.